Today was the first day of spring and man, I was glad to see it come. I was also excited to receive a copy of the Kroger Foods spring mailer I worked on a while back. 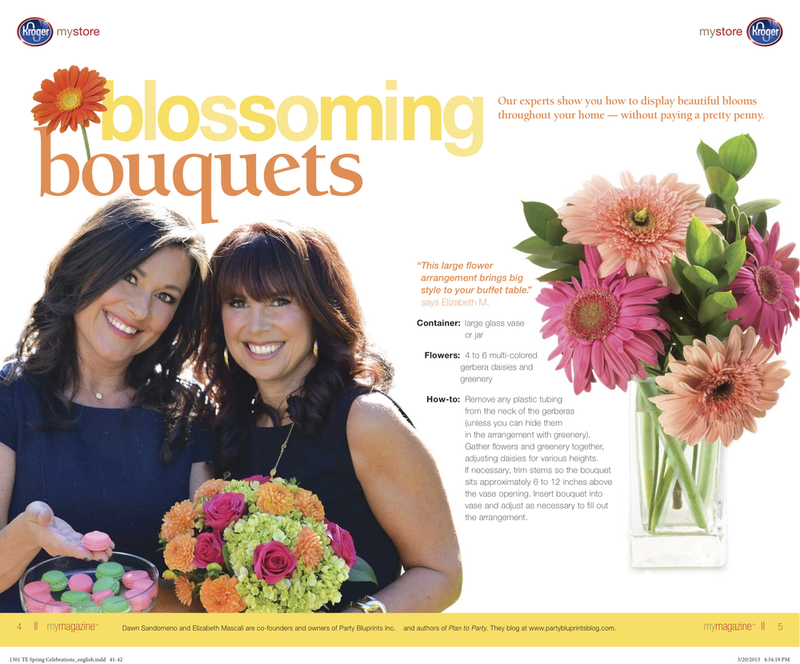 The task was to come up with simple floral arrangements that could be done with basic grocery-store bouquets. I enlisted the help of entertaining experts Dawn Sandomeno and Elizabeth Mascali, authors of the book "Plan to Party." In addition to successful blogging, Dawn and Elizabeth have appeared on "The Today Show,""Fox TV Good Day NY" and "Martha Stewart Radio." They've also shared their tips in Good Housekeeping magazine, Kiplinger's Personal Finance magazine, Consumer Reports Shop Smart and Redbook magazine, just to name a few. Thanks, ladies, for creating such pretty arrangements for this piece! I hope to work with you again sometime soon. Mar 19 Need some creative encouragement today? May 2 Kroger Foods Mailer: Cinco de Mayo!